Ronnie runs Uradale Farm on Shetland and agreed to an interview to appear in Fork Magazine. While we were planning to get up to Uradale during a visit to the islands, it never quite happened and so I ended up interviewing Ronnie on the phone when I got back to Bristol. He was a very easy person to chat to and clearly very passionate about his business. The photo was sent over by Ronnie. Uradale didn’t land in Ronnie’s lap. It was only through a combination of hard work and determination that he got his land. “Farms don’t come up for sale very often in Shetland,” he tells me, “I studied in Edinburgh and came home during the oil boom. I took construction jobs and saved my pennies to buy crofts and bits and pieces of land. 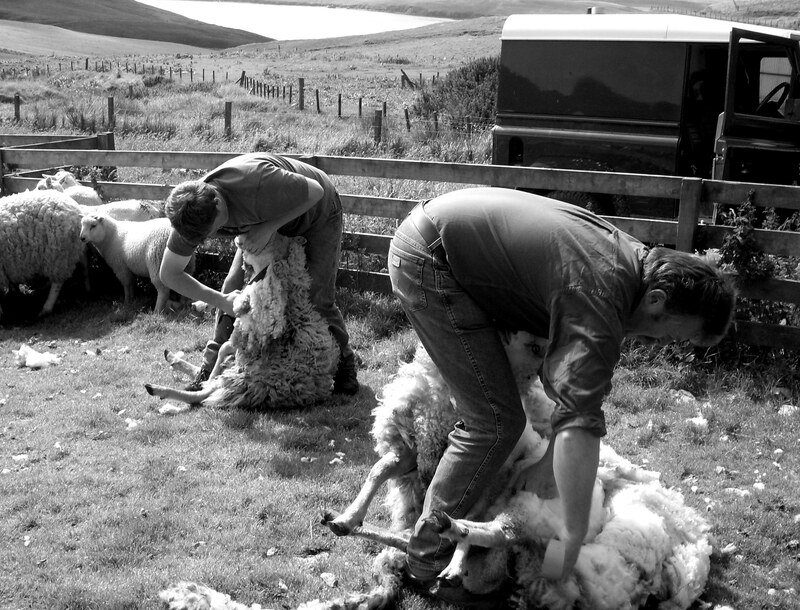 I ended up being a conventional producer for the area, selling livestock to be raised in Aberdeenshire. The only other source of income was farming subsidies.” But as time went by, making a living got harder. In 2000, Shetland lambs were virtually unsellable and things hit a real low. After having worked so hard, for so long, the only option Ronnie had was either to give it all up or change drastically. Uradale went organic in stages from 2000 to 2006, starting with a separate unit on the western edge of the farm where the sheep could be converted as quickly as possible. “The organic system was designed for a longer growing season so compliance wasn’t easy,” Ronnie tells me, “we have far fewer choices and relying on clover for all your nitrogen puts you at the mercy of the weather. The markets don’t care if it goes wrong.” Ten years ago, no-one wanted ‘inferior’ Native Shetland meat but by focussing on its benefits, Ronnie changed the markets’ minds. “We’ve been involved in extensive scientific research to show how much better for you our product is, with much higher levels of healthy fats than conventional red meats. We supply Lidgates of London with lambs and beef every September now. More recently, we’ve been spinning our own Native Shetland organic wool. It’s the only one of its kind on the market. I’ve been invited to address the Food Writers’ Guild and our lamb has won two gold medals at Smithfield.” It was growing up around his father’s butchery business in Lerwick that gave Ronnie the insight he needed to change. “Seeing things from the point of view of the end product – the meat – and the consumer gave me a different perspective.”. This interview is an extract from issue 25 of Fork magazine. Fork is a bi-monthly magazine beautifully designed and filled with interviews with interesting people, reviews of the best places to eat and travel to, plus a few recipes for good measure. Skip is my friend John’s dad. I know John from my time living in Tokyo back around the turn of the millennium. I was looking for someone to interview as part of a series for Fork magazine, where this interview was first published in issue #24. Skip lives in South California so this interview was carried out, after quite a few tech fails, over Skype. The Great Food Revival. We hear about it all the time with the next up-and-coming chef reinvigorating another traditional skill. I’ve become more and more curious about who they’re learning these skills from, so over the next year, I’ve decided to find out. 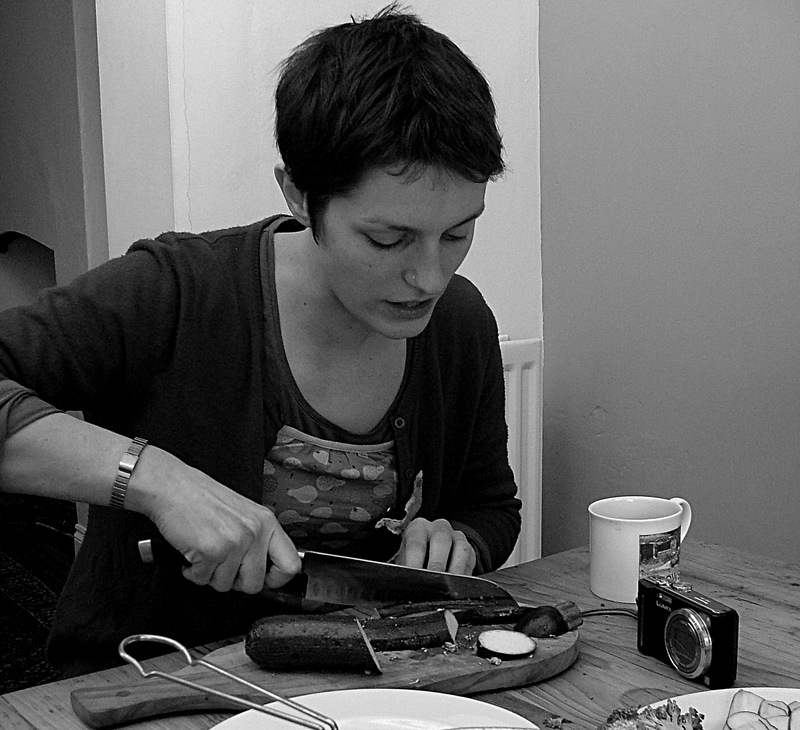 I’ll meet six people, food veterans, if you will, who have worked in their chosen trade for my whole life or longer. 1975 is the line drawn in the sand and an idea takes shape. I found my first, Skip Whaley, through an old friend John who I haven’t seen in over a decade due to the tyrannies of geography. 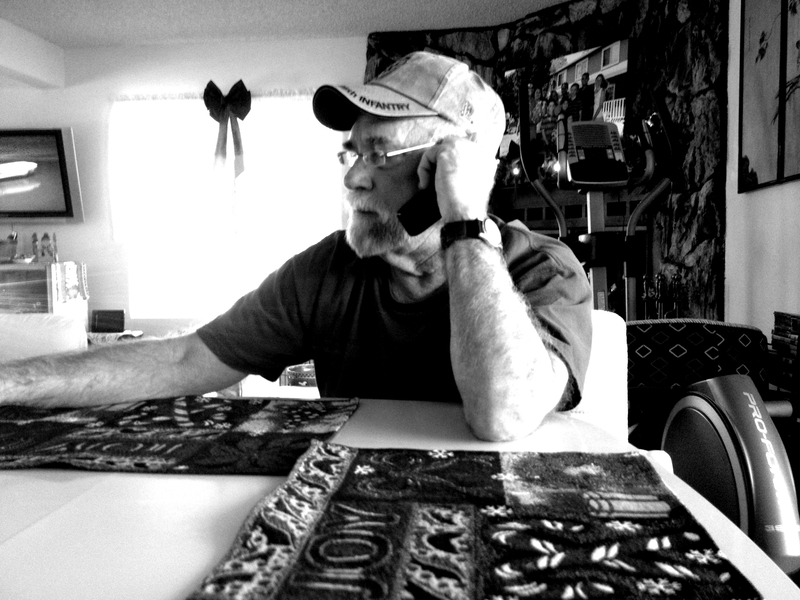 “My dad worked as a meatcutter all his life,” John told me, clearly excited about seeing his dad in print, “he must have started way before 1975.” Skip lives in deepest Southern California, but after much concerned checking of timezones and some technological hiccups, we settle down for a chat. Stater’s is a family-run, Southern Californian grocery store that started trading in 1935 and is still going strong. Skip worked there until retiring 9 years ago. We say goodbye and I’m left with the impression of a kind and humorous man who firmly believes in a right and a wrong way of doing things. It strikes me that it takes a vast amount of dedication to devote a lifetime to a trade and I realise I’ll be meeting a group of people with that very special something in common. This interview is an extract from issue 24 of Fork magazine. Fork is a bi-monthly magazine beautifully designed and filled with interviews with interesting people, reviews of the best places to eat and travel to, plus a few recipes for good measure. This article for Fork Magazine came about during the very first Full Moon Feast – our bring-your-own-and-share full moon supper that we hold every month in a different location in Bristol. Becca was so generous on the day, made us a lovely meal that we ate in some unexpected sunshine in her garden. The original article was called ‘amayonnaising’ which was Becca’s idea and we took a stack of photos that didn’t make it into the magazine. We talked about so much more than mayonnaise and she’s another most wanted to reinterview and dig a little deeper. I don’t notice the jam jar on the table at first, such is the hustle and bustle of our monthly bring-a-dish, welcome-one-and-all supper. Imagine my delight when I realise what it contains. O mayonnaise! I could go into raptures about you! Floppily languid stuff, sliding off my spoon with the suaveness of a confidence trickster I don’t mind being conned by. Oily dictator in my fridge, imposing yourself with impunity on every culinary choice I make, turning yesterday’s pizza or lasagne into the perfect breakfast (yes, really) and making even iceberg lettuce edible. “Teach me!” I proclaim, fervour burning in my eyes. So, just a few days later, I find myself in Becca Rose’s sunny kitchen, notebook at the ready. Verduras a la plancha are already prepared while shrimp and squid wait to make acquaintance with some hot oil and garlic. One of those famous tortillas taunts us from under a square of kitchen paper. There’s something arcane about mayonnaise making. As everyone who has ever tried it knows, sometimes, despite getting the ingredients right, getting the process perfect, even clutching your lucky rabbit’s foot won’t make it right. Sometimes the damn stuff just won’t emulsify. “It happened to me once,” Becca’s face is haunted, “I knew it was coming. I was in Toulouse and I offered to make mayonnaise and then before I knew it, there were five people watching me!” With some cause then, Becca’s hand trembles as she flicks the switch. I gird my loins and pour the oil. As more and more oil goes in, we peer inside, waiting. Then, about a quarter of the bottle in, it happens! The consistency isn’t quite right yet, it’s too slithery, but there is no denying that we have emulsification. I realise I haven’t been breathing. I add yet more oil. The oil content of mayonnaise is prestigious – for a jar of mayonnaise, you need about a jar of oil. Many people lose their nerve and scarper off to buy a ready made jar instead, but it’s a Pyrrhic victory – there’s just as much oil in shop bought mayo. And, of course, it’s shop bought. We taste and adjust, adding a little more of everything until neither egg, oil, vinegar nor mustard predominate. Each flavour is subsumed into the totalitarian state of amayonnaisingness. Of course, we sit in the sunshine. Of course, the tapas are amazing. Of course, it is one of those days when you leave, hugs akimbo, all effusive with thanks and all aflush with wonderful memories. Of course it is. With mayonnaise that perfect, what could possibly go wrong? Though heaven knows how they make it last that long, it is said that fresh mayonnaise will keep in the fridge for up to one week. This interview is an extract from issue 23 of Fork magazine. Fork is a bi-monthly magazine beautifully designed and filled with interviews with interesting people, reviews of the best places to eat and travel to, plus a few recipes for good measure. Whoever you are, wherever you are. If you would like to be interviewed, get in touch.